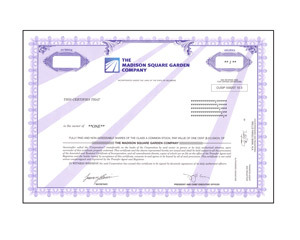 Madison Square Garden Company owns and operates the New York Knicks, the New York Rangers, and other sports franchises; concerts and events at Madison Square Garden and Radio City Music Hall. Any NY Knicks or NY Ranger fans out there? You are in for a treat!